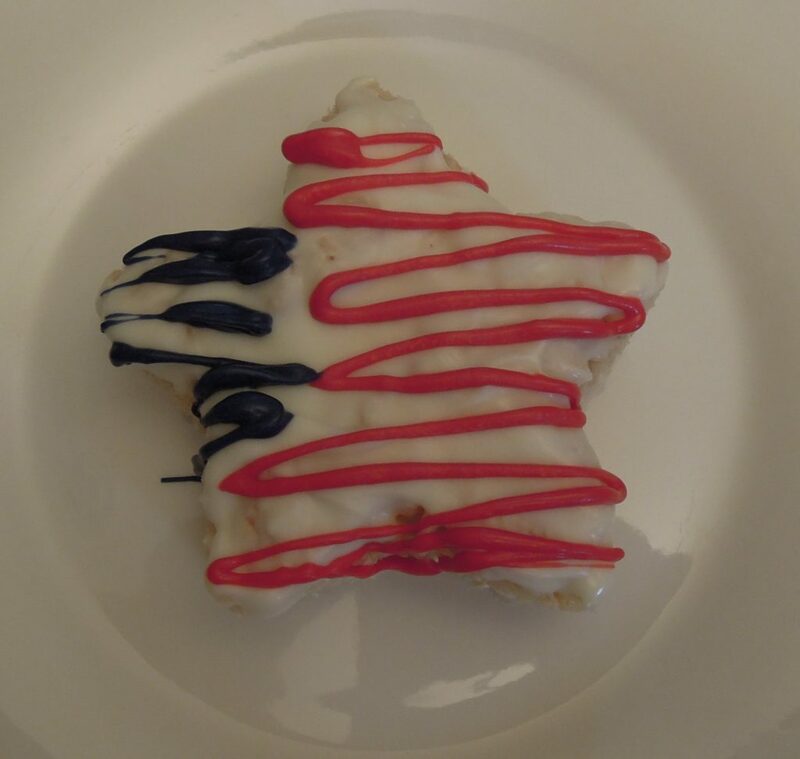 The first of July is already upon us!! This is the half-way point for my kids’ summer vacation because they go back to school at the first of August. I can’t believe it’s true. 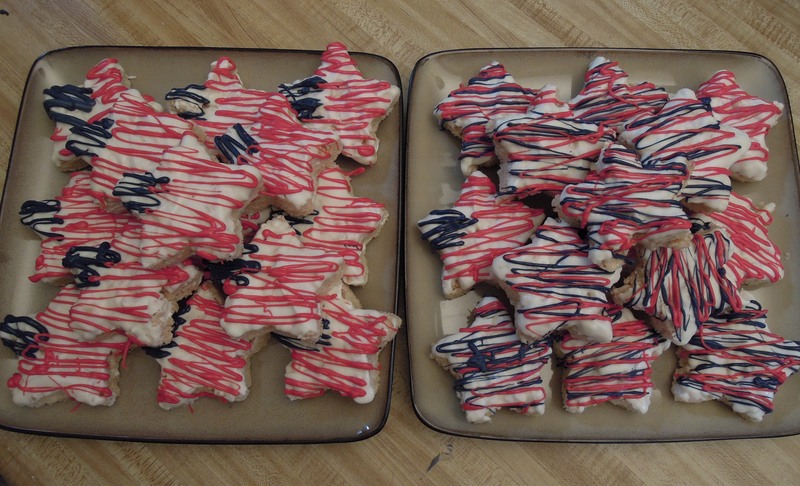 The first of July means the 4th of July is soon to follow….obviously. 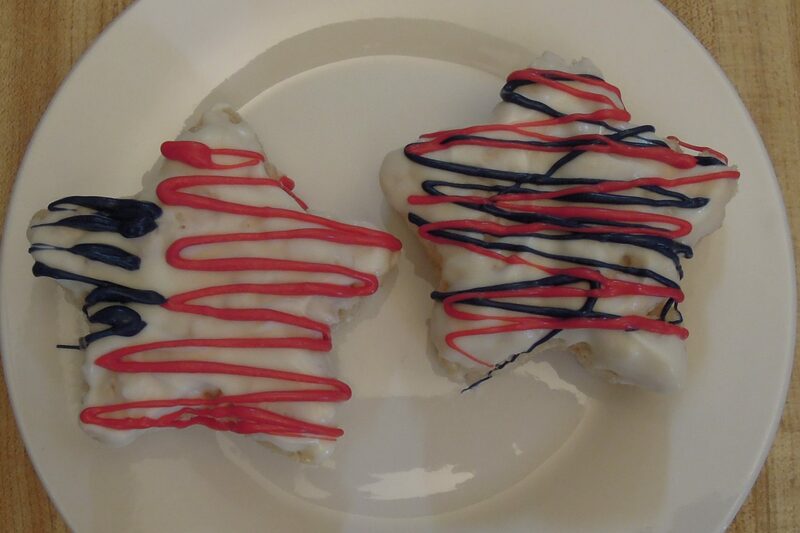 These festive krispie treats will be a big hit at your barbecues, parties, or get-togethers. 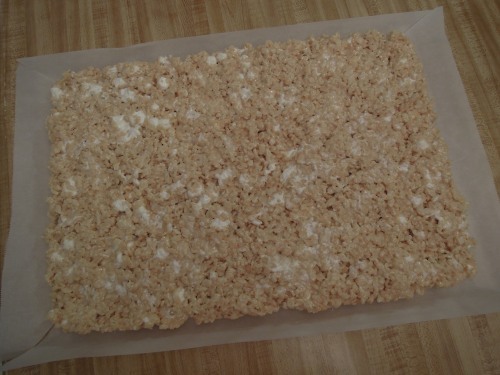 Almost everyone loves krispie treats, and as an added bonus, many people with allergies can enjoy them too. 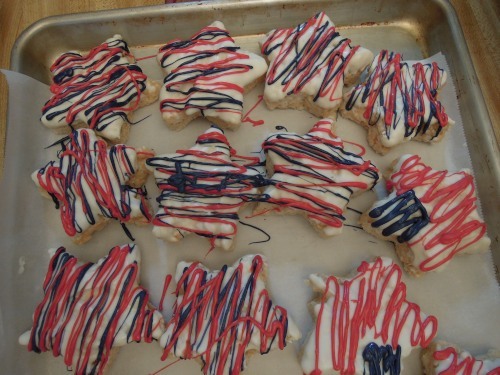 Being no-bake is also a great feature for the hot days of summer. 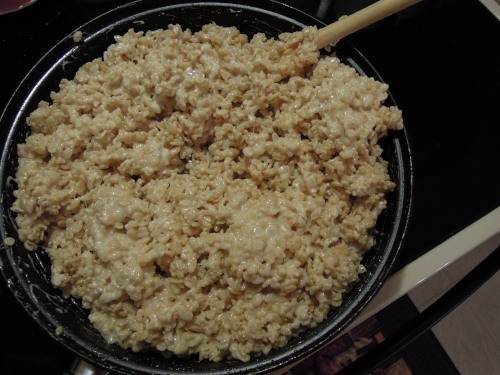 You can use your favorite rice krispies recipe or try the one below. 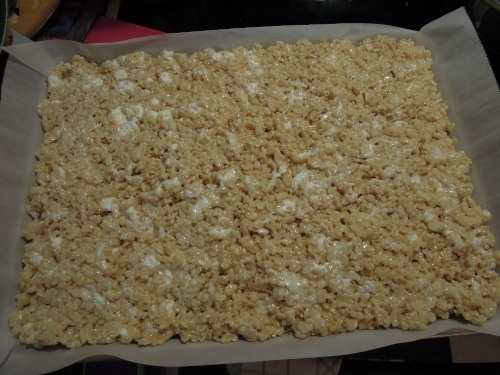 I have never enjoyed making krispie treats until using this recipe and a non-stick pan. The non-stick pan makes all the difference! 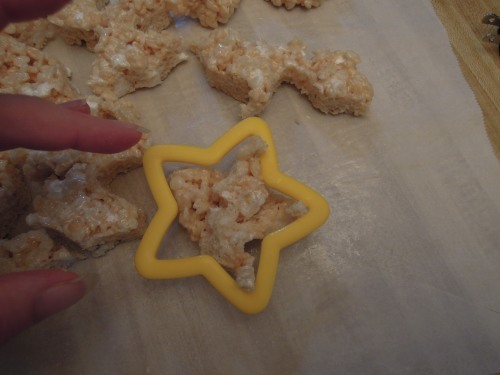 I used to hate making krispie treats before because I felt like it was a sticky mess and half of it was lost to the pan. No more. 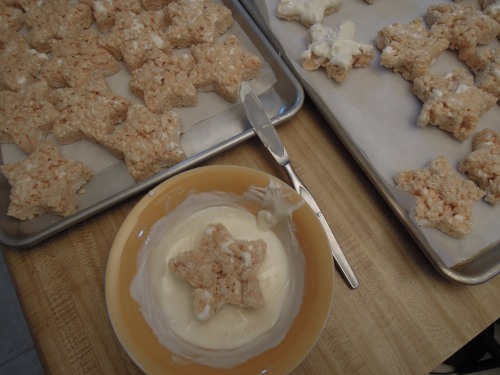 This recipe makes thick, soft, delicious krispie treats. 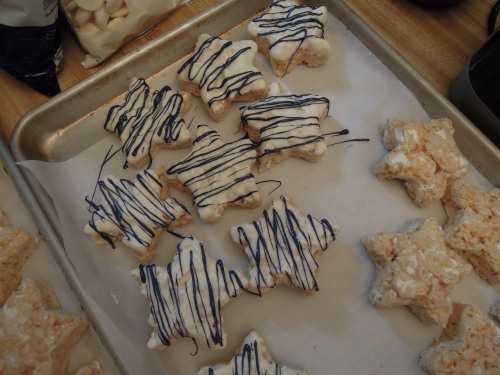 The extra unmelted marshmallows and the little touch of salt in them are perfect. *The quantity below makes a generous 1/2 sheet pan. Adjust amounts to your desired quantity. 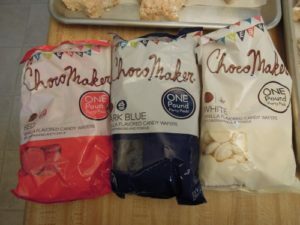 You would need two 16 ounce bags of marshmallows to make the amount below. I found the right colors at Walmart. Lightly spray a 1/2 sheet pan with cooking spray or rub with butter or line with parchment paper. Set aside. Melt butter on medium low in a very large NON-STICK pot or skillet on the stove. 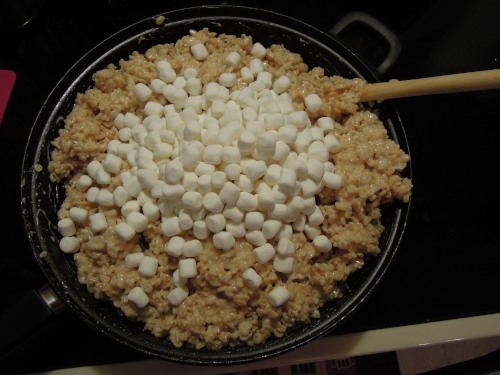 Add 16 cups of marshmallows and stir until almost completely melted. Remove from heat. 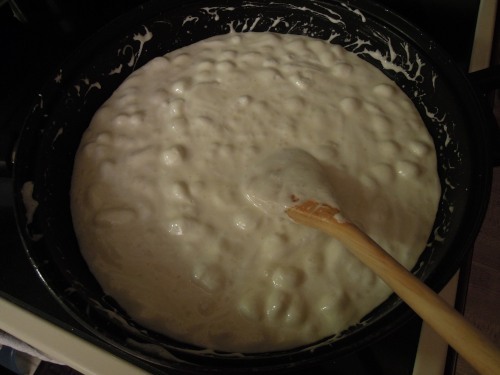 Stir in cereal and salt and combine completely with melted marshmallow mixture. 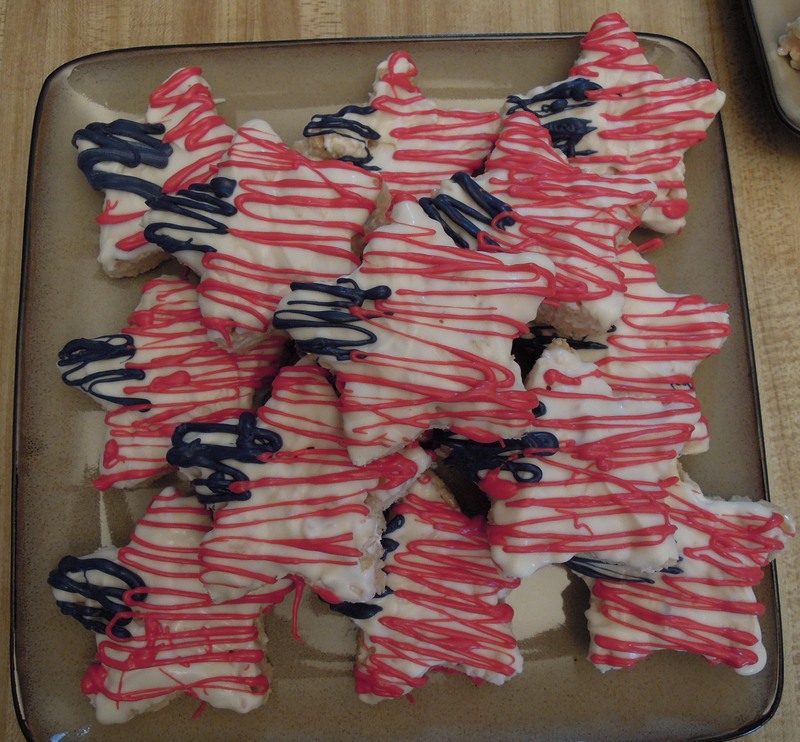 Cut out stars with the cookie cutter and set them aside. 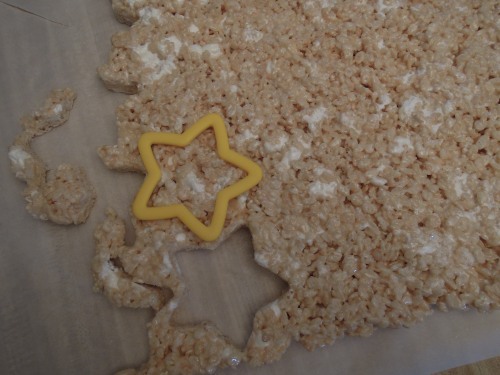 You can gather the scraps together and press them into the cutter at the end to get even more stars and use all of the krispies. 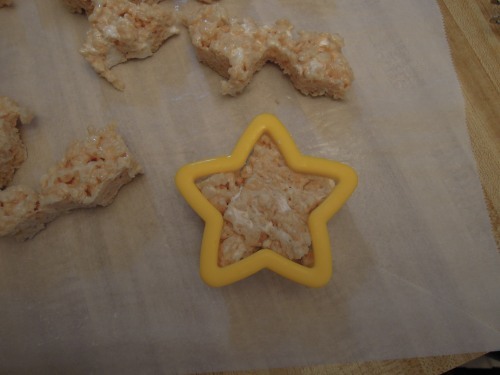 Press scraps into the cutter for additional stars. Melt an appropriate amount of white chocolate in a wide shallow bowl according to package directions. 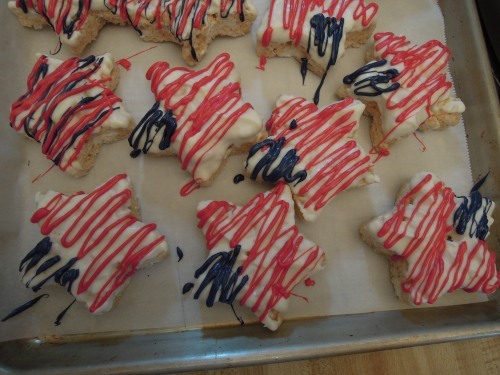 Dip the top of each star into the chocolate, using a butter knife or offset spatula to fill in any gaps and set aside to harden. 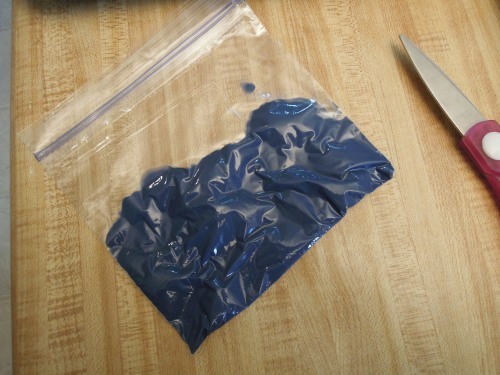 Melt a small amount of red or blue chocolate in a small zip top bag in short low-power increments in the microwave. 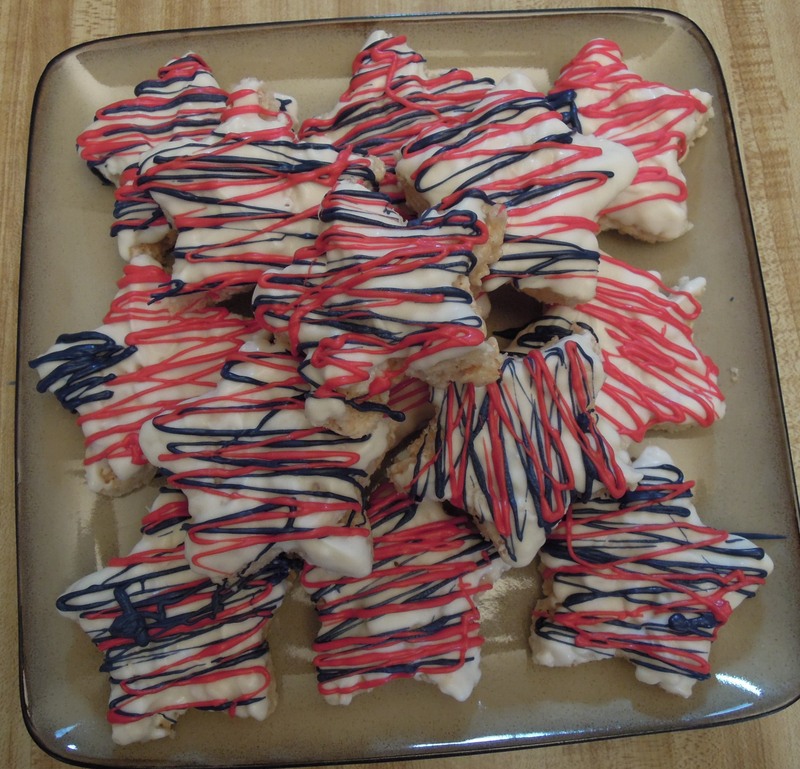 Snip a small corner off the bag and drizzle over the white stars as desired. Let dry. Repeat with the other color. Set aside to dry/harden. 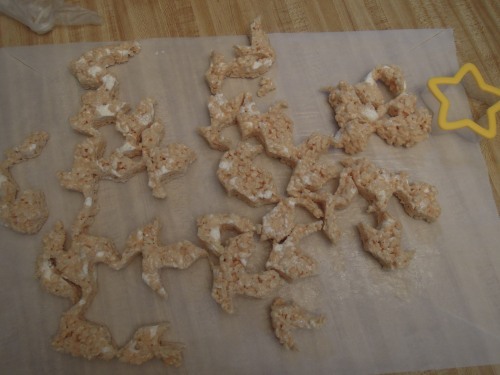 Source: Krispies recipe from Cookies and Cups; design idea is my own.